The industry has converged on VoLTE as the medium and long term solution for delivering voice on LTE. This presentation generically reviews the IMS framework for delivering VoLTE in either a green-field or an existing network and highlights implementation considerations from the packet core perspective. The critical aspect of delivering QoS is highlighted and implications for network architecture are drawn. 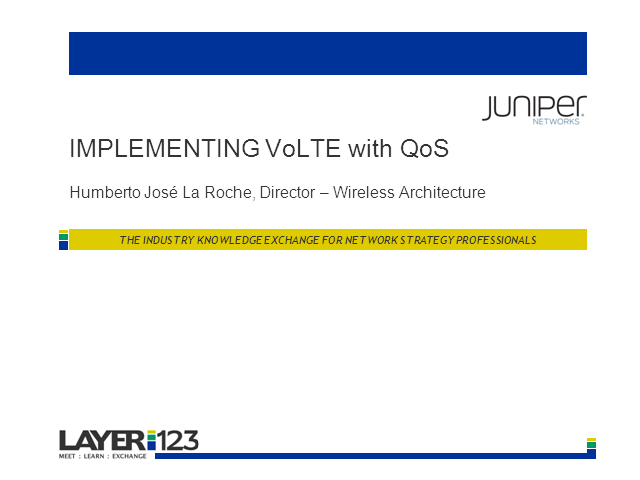 We will also share Juniperâs perspective on design strategies for VoLTE implementation.